More than 840 players have worn the shirt of Manchester United since the club played its first official game back in October 1886. 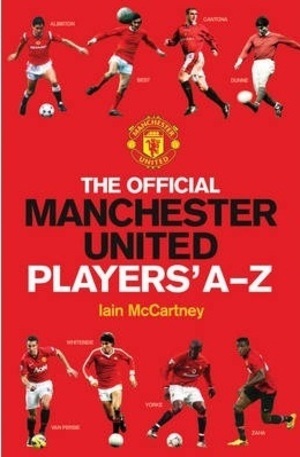 Now they are all brought together in this definitive A-Z listing of the footballers who helped to make United the most popular football team in the country. For each player, there is basic statistical information provided about their United career appearances and goals, details of their debut, position played as well as their dates of birth and death, other teams played for, nationality and time spent at United. There are also brief biographies of more than 400 of the key figures in the clubs history, revealing some surprising and fascinating information - such as the identity of the only footballer to have played on all four home grounds of United. Whether it is basic information that you need to check, or fascinating insights and trivia that youll want to share, this book is an essential part of any United fans library. Благодарим Ви, че решихте да споделите с нас вашето мнение за "The Official Manchester United Players A-Z".